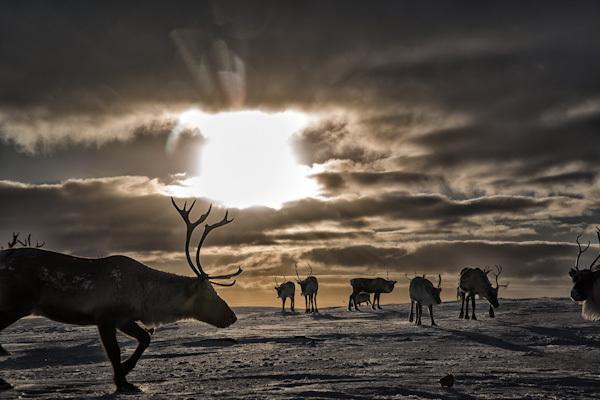 If you do not have time for the whole migration you can join us on a day trip, "Reindeer herder experience". 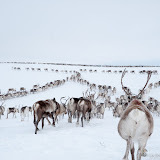 Link to an article about our Reindeer migration trip, Northern Norway tourist board. The program starts day 1 with dinner served at Engholms Husky design Lodge. Your will meet your guide from Turgleder and he/she will have a briefing about the tour. 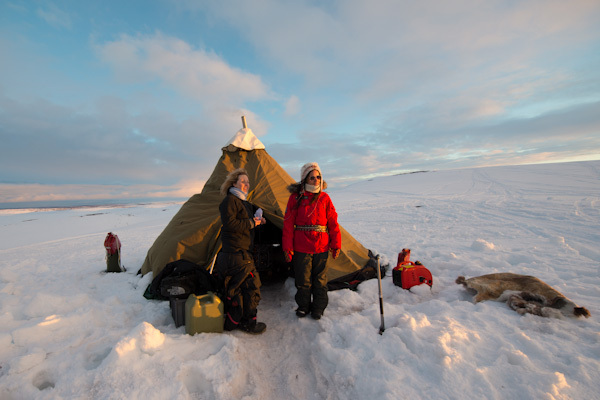 Day 2 is spent provision of warm arctic clothes, boots and other equipment. Check of the equipment and preparing the tour. 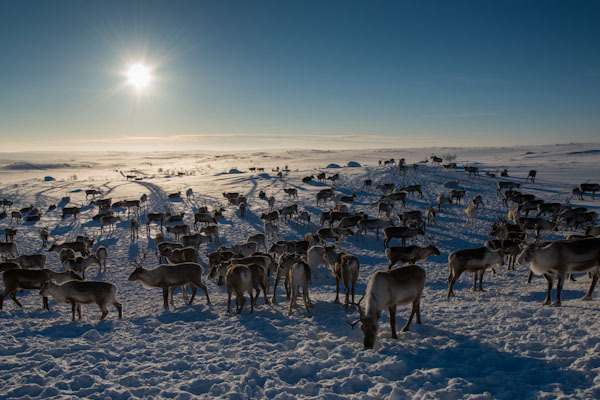 We spent 4 days and 3 nights on the Finnmark plateau with the reindeers. 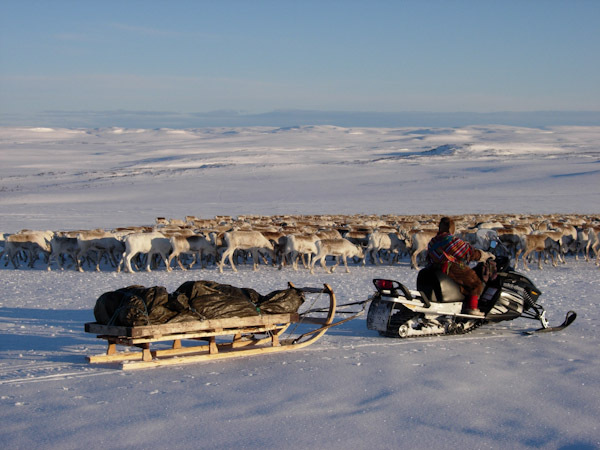 We will leave the lodge with snowmobile to link up with the reindeer herd and the herders. 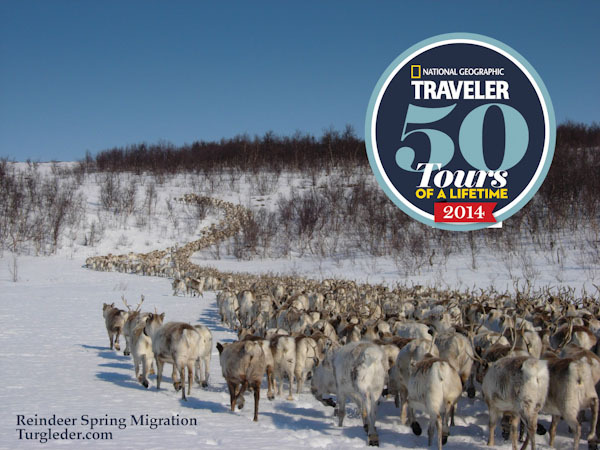 We follow the herd on their long migration across the plateau. A fascinating barren and wind swept landscape reaching as far as the eye can see. Here you will have interesting natural experiences together with the Sámis who love to share their knowledge, experience and wisdom of life with their guests. Their fascination for nature and the free life is striking. 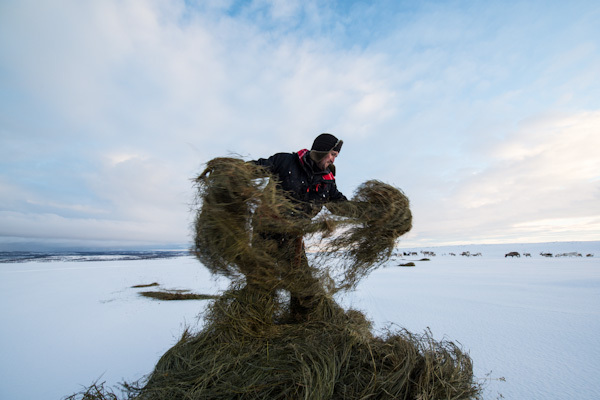 We will be taking part in the migration for 4 days before we return to Engholms Husky Lodge in Karasjok. Here you will find a warm shower and we end the journey gathered for a dinner in a warm and cosy atmosphere. Day 7 is at the lodge and is at your own disposition for interesting activities. There is always a lot happening on the farm. Guided trips can be booked or smaller tours can be ventured upon alone if desired: Snow shoeing, cross-country skiing, sled dog tour, tour with kick sleds or walking. 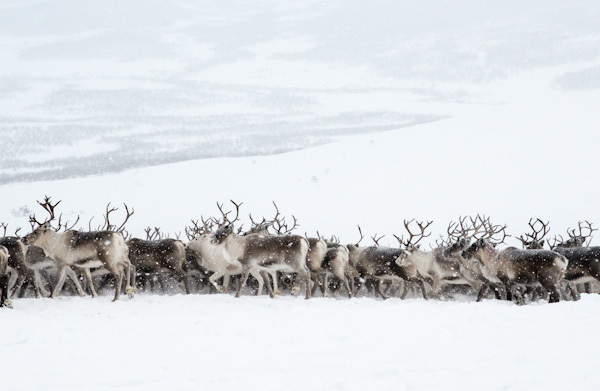 A tour to the Sámi museum and the Sámi parliament will give you an insight into Sámi history and the current situation for the Sámi people. 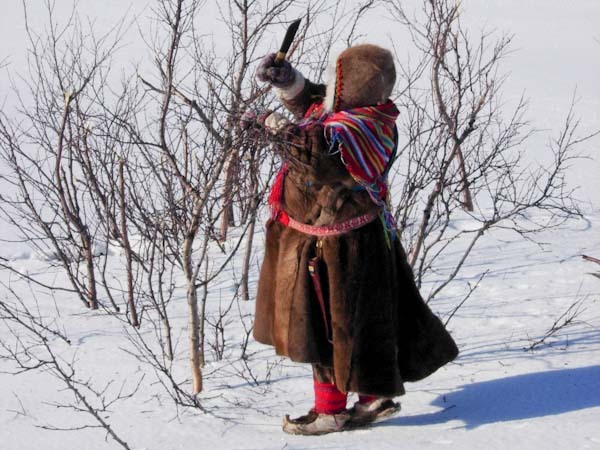 Also we would like to recommend the centre for Sámi arts and crafts, Sápmi Culture Park and a visit to the local knife smith. Day 8: The program end at breakfast. However, it is worth considering whether to stay some extra days for interesting activities as lodge guest before and after the program. - If you choose to bring your own sleeping mat, it must be suitable for camping on snow, meaning that inflatable mats should have down in them or be combined with a thin roll mat. A foam mat (roll mat) should be thick /insulated enough for use on snow (≈14mm). We guarantee departure on all fix dates. No minimum participants required. 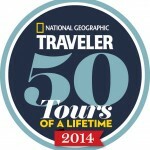 Private trips available on request. Guide, local transportation, all meals from dinner on day 1 to breakfast on day 8, lodging in Karasjok, some clothing and equipment (see eqiupment list). We would like to encourage you to stay a few extra days at Engholm Husky Lodge to explore Karasjok and the neighbouring town Kautokeino. At the Husky Lodge there is always many things happening and you can, among other things, take part in the daily handling of the husky sled dogs. You can visit the sights of Karasjok or you can relax with a good book from the “mushers library”. 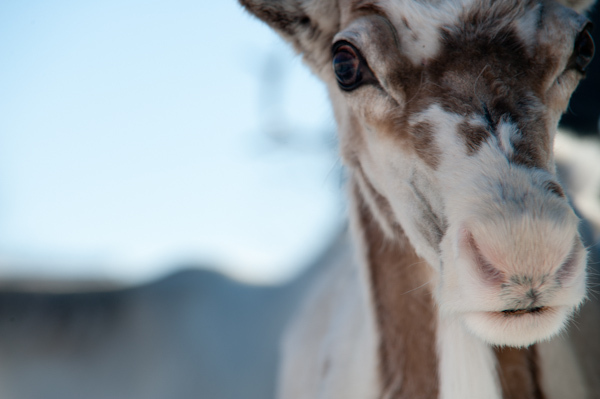 You can also experience the Sami culture by visiting the Sámi Museum, buy Sámi art and hand craft, visit the local Sámi knife smith or get a guided tour at the Sami parliament. You can aslo book a dog sledding trip.